SOUNZ New Zealand in L.A.
Los Angeles will be host to a festival of NZ music from 18 April. The festival will open with two concerts at REDCAT (Downtown LA) featuring compositions by Chris Cree Brown, Gareth Farr, James Gardner, Ross Harris, Samuel Holloway, Glenda Keam, Victoria Kelly, Mark Menzies, Michael Norris, John Psathas, Jeroen Speak and Gillian Whitehead. 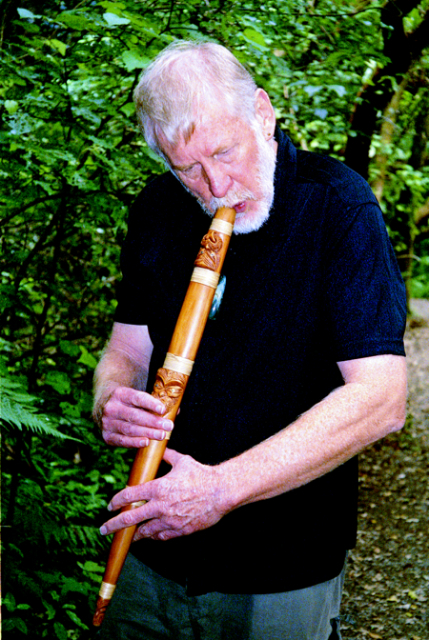 New Zealand performers will include ngā taonga pūoro specialist Richard Nunns, clarinettist Gretchen La Roche, violinist and conductor Mark Menzies, percussionist Chris O’Connor and special guest singer-songwriter Annabel Alpers (a.k.a. Bachelorette), together with staff and students of CalArts including Vinny Golia and the Formalist Quartet. Events through the following week will include workshops, presentations, open rehearsals and other performances at CalArts (Valencia, CA), including a large-scale improvisation event at CalArts' "Wild Beast" venue on the evening of Saturday 21st April. The festival has been devised and curated by Glenda Keam and Mark Menzies, with support and encouragement from Creative NZ, CalArts, Unitec, CANZ and SOUNZ. Click the titles of the works, composers or performers below for more information. Follow the link at the bottom of the page for booking and programme details.